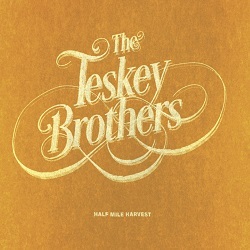 The Teskey Brothers' new recording, Half Mile Harvest, released in CD & LP formats, captures the authentic raw soul sound of their live performances, achieving just what Sam Teskey and the band were wanting by setting up his recording company and recording on an analogue 24-track-2inch tape machine. With 8 solid originals on the 10 track recording, Josh Teskey’s smooth soul drenched vocals give much more than a tip of the hat to Otis Redding and Sam Cooke. Add Sam’s guitar mastery, often compared to Jimi Hendrix & Eric Clapton, with bassist Brendon Love and drummer Liam Gough, it is well deserved that Half Mile Harvest is appearing at the top of several top 10 lists. A gem! 5 stars. Nine years ago garage rock upstart Ty Segall released his debut album on John Dwyer's Castle Face records. It was the perfect counterpoint to the saccharine punk brewing in southern California at the time. Since then he's followed his muses and heroes into some pretty disparate sonic territory across an astonishing run of 9 studio albums. He's happy to grab a handful of ideas and run them hot and direct through whatever channel of rock 'n' roll has caught his fancy. This record is his most accomplished synthesis of the styles and sounds he's borrowed, aped, reshaped, twisted and strung out over the last 10 years. It makes sense that this record is self-titled - it's the closest he's got to summing up who or what Ty Segall is. Bowie, Lemmy, Lennon, Beefheart, Patti Smith and plenty of wilder characters from the back sewers of rock 'n' roll course through this album. For the first time he's brought together the different strands of his recorded output and made them whole. This approach is perfectly born out in 10 minute jam "Warm Hands" which hits the loudest and quietest moments on the record. Segall breezily trips from slacker pop to Sabbath riffing into Grateful Dead noodling before lighting up the whole pedal board for the run home. It's really quite something and it's just one slice of whole shebang. 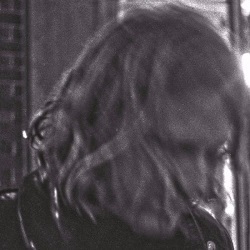 Highly recommended for the uninitiated and rusted-on fans alike, this is Ty Segall at his most satisfyingly complete. Crank it up.